"The conclusion would be that it is a very complex and dynamic pattern related to the processes of objects' creation – it is constantly moving and growing. The complexity of objects is related to the space temperature, the mass of an object and the total sum of tidal forces. Furthermore, the complexity is influenced by the position of an object related to the planet, Sun, as well as the asteroid belt. The important role also belongs to time when object got captured, for how long the object had been near Sun (perihelion) and at what distance. These idiots have no clue. The Earth is a very unique planet, chances of finding another is highly unlikely. Until these nitwits are able to understand the climate on this planet, they will never know what constitutes Earth-like. When will we see a return to real science and put an end to all this fakery! rk, you are complaining that others are making mistaken conclusions based on too little data. By committing the same error. "Conclusions" are not valid until supporting evidence is collected, analyzed and verified through a variety of redundant experiments. Usually resulting in bitter factional disputes of which "conclusions" are to be accepted as definite. And brawling over who gets to share the credit, the accolades and increased funding. rr, I make no such error. The scientific facts speak for themselves. These so called scientists are just more ignorant frauds claiming to know thing they have no clue of. "The scientific facts speak for themselves" Apparently they do so because you say they do. But perhaps I speak prematurely. Care to point us to where your detailed, insightful critique of their work is published? What good would that do? You couldn't understand it. These idiots have no clue. The Earth is a very unique planet, chances of finding another is highly unlikely. You are the idiot that has no clue, not they. 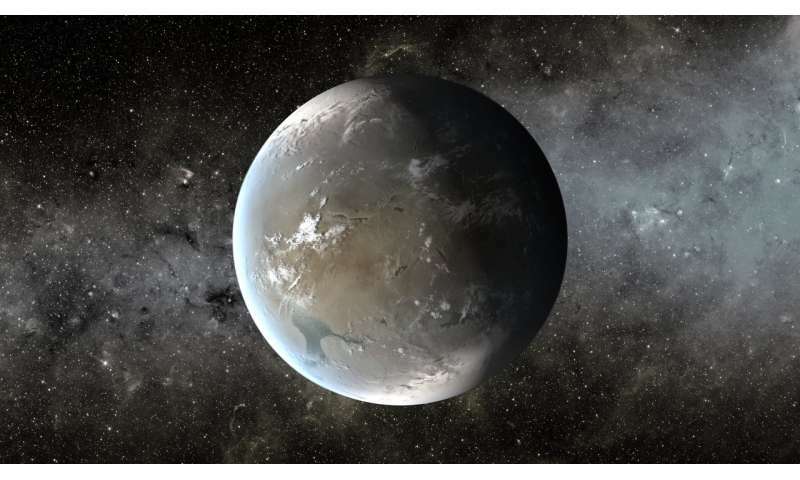 Nobody is trying to find another Earth; just merely a vaguely Earth-like planet. And the scientists have already found several such vaguely Earth-like planets. So it apparently isn't "highly unlikely". Those frauds have no clue of what constitutes Earth-like. They would have to first of all, have some idea of how our planet's climate works, to be able to know, which they don't. "What good would that do? You couldn't understand it." "You're an idiot!" "Those frauds..." Resorting to thinly-disguised -- or blatant -- insults is not how adults support an intellectual argument. Then again, you still haven't come close to trying to make an actual intellectual argument. What baffles me? Is all these vast conspiracies to deny the self-ordained genius such as rodkeh, of public recognition and awards. I mean, come on now, Rod! If the MIB wanted you suppressed? They are too stupid to simply disappear this site's entire cohort of similar mindless loons? I am now sympathizing with those conspiracies. It must be exhausting to have to thwart your attempts to inform the masses of your hidden greatness. Over centuries and across the continents. "Witherever thou goest! They have to goest?" What a drag! A job requiring anyone to have to chase all of you loons about. And I thought kindergarten teachers had a tough profession! I have long ago given up on finding anyone out there with two living brain cell to rub together. You twits have never had an original thought in your whole lives and you even lack the education to make up for it. Evidently most things baffle you. Do not get away from the topic. 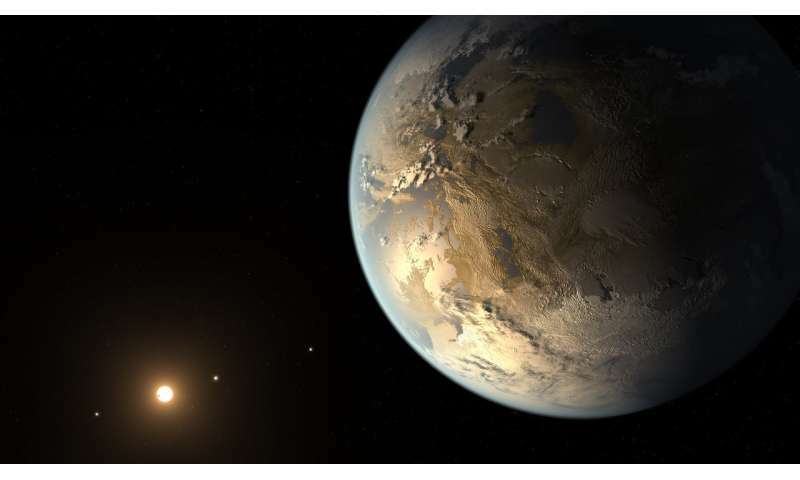 Exoplanets are far away, our ability to reach the truth (by observation) is minimal. That's the reality. The problem is the people from the minimum "evidence", real sensation, and claim that they are exact evidence and the end of the story. The only option is good to examine our system and without any desire for sensation, give evidence. wd, yes, examining our system with 4 failed worlds out of 5 possibilities. Should give us a rough idea of what the odds are for discovering a Living World in star systems with stars similar to our Solar System and our Sun. There is not enough data to extrapolate beyond that. Each and every claim of Living Worlds has too be treated as a hoax based on falsified data. And will need extra-ordinary levels of proofs to confirm such extra-ordinary claims. Yeah, you got caught robbing a bank. I will disregard the evidence proving that you were just helping out a buddy make his car payments. I wonder if he's tried the mail order black belt gambit yet? Perhaps that's a project for next month. Our system and little good will give most of the data. Those frauds have no clue of what constitutes Earth-like. What constitutes "Earth-like" is up to the arbitrary definition and how Earth-like you want Earth-like to be and in exactly what ways. So, no, they aren't frauds because there isn't any non-arbitrary scientific definition of "Earth-like" and they don't pretend there is. Ha ha, that IS funny. The scientists who gather the facts are ignorant of them, makes sense. Again, the people with the facts and the knowledge don't know anything? Ignorant fraud comes to mind. Anyway, since loosely 'earth like' means 'life as we know it' could have evolved and survive somewhere, the conditions are, in a sense, fairly broad. Hence the habitable ZONE. We know plenty about the earths climate, it's the exoplanets climate we are unsure about, due to the limited data available. As you say "You're an idiot!" And you have a stupid name, aa, na, naaaaa! ducks, goodwill is nice. But you cannot be courteous to false claims or even unsubstantiated claims. The definitive proof of my opinion are orbiting our Sun. Out of five small, rocky worlds, only one is a Living World. And that is a "Best Case" baseline for searching other star systems for equivalent Living Worlds. There seems to be an agreement among a number of the commentators that there is a good probability for a multitude of Archean-type planets of primitive micro-organisms. With an underlying rapacious greed to populate those wolds with Earth-Life. This would be an unconscionable act of hubris. Any such planet discovered would be unique treasure of truly alien life. It would be a crime to poison a world for no reason better than avarice! Observe, even sample if correct safety precautions are strictly observed and enforced. Then let them go to evolve their own destiny in the future. They have no clue so all they could do is pretend. As you say they have no clue of what constitutes Earth-like, because they don't even have an arbitrary definition! They have nothing to compare and nothing to compare it to. They are stupid, ignorant Americans calling themselves scientists! rr, Do not introduce physics into speculative discussions. Instead of the number of planets (bodies), observe the processes that form the planets (offered links). ducks those opinions are even more speculative then mine. Based solely on wishful thinking. Without a shred of evidence for the opinionator's conjectures. There are two planets in the Earth's orbit around Sol. Earth is the Living World. Luna is deader than polished brass spittoon! Greed drives the gullible punter to place stupid bets. The dead horse you are daydreaming of betting om? Will not be winning, place or even show in anymore races. No matter the unbelievable odds offered you by the bookie. Waiting for the horse you bet your rent on to show up for the race? Wave bhuy-by as the knackers wagon hauls your nag away. Tear up the tickets into confeti as you cry into your beer. They have no clue so all they could do is pretend. As you say they have no clue of what constitutes Earth-like, because they don't even have an arbitrary definition! Wrong; scientists define what they mean. It is only you that has no clue.